This year goggle companies have produced significant technological advancements. 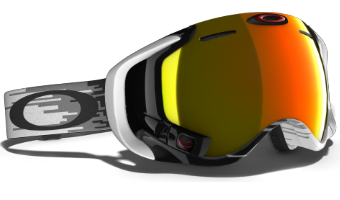 The most recent I discovered was the Airwave™ technology from Oakley, priced at $649.00 per pair. 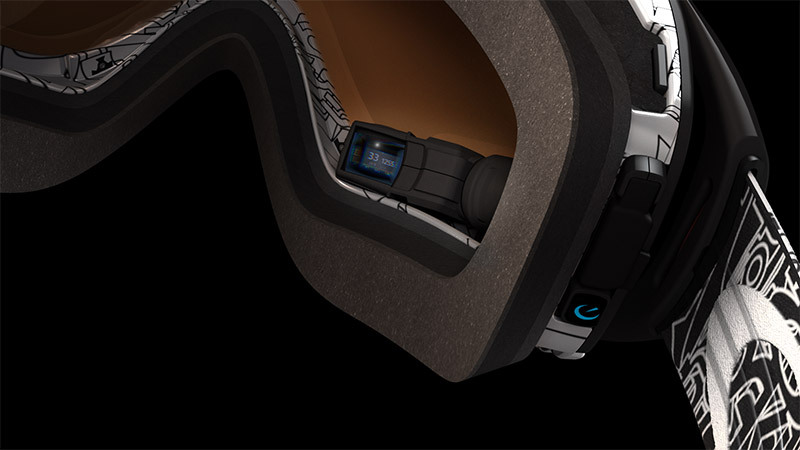 Airwave™ takes Oakley goggle design and technology to the next level with a built-in heads up display that integrates GPS and Bluetooth. Onboard sensors give instant access to jump analytics that show distance, height and airtime. This goggle is being marketed as a mobile dashboard, and rightly so. The goggles do so much more than just protect your eyes from light, wind, snow and other elements. With a built-in display, the AirWave™ uses innovative prism technology to deliver crisp, widescreen images. This technology provides a heads-up display perceived to be the size of a 14-inch screen viewed from a distance of 5 feet. This display allows you to see, track and share various elements of your day on the mountain. GPS integration measure how fast the wearer is moving down the slope. Trip Viewer allows the wearer to review in the detail, run by run or whole day, stats like: max speed, total vert and max air. AirWave™ can track jump analytics, vertical and navigation. If a friend has AirWave™ goggles or the app for their smartphone, you are able to track and locate them. You can also control what music you listen to and with smartphone connectivity you can view incoming calls and text messages, available for Apple and Andriod systems. This technology is important because the average consumer is looking for products that go above and beyond the typical functions of products. This product would appeal to the tech-savvy winter sport participant, as well as athletes to tweak and improve their sport performance. While these goggles are more expensive than the average pair, these offer so many features; which have never been available in a goggle before. If money wasn’t a factor, I would be riding with a pair of the AirWave™ goggles this season.